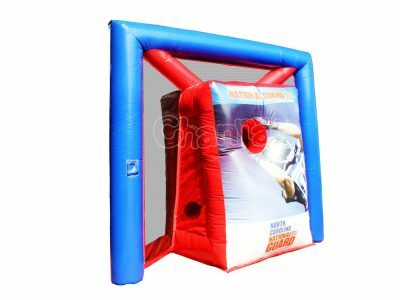 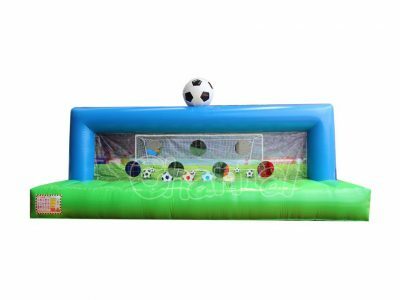 Inflatable soccer game is an inflatable game that you kick soccer balls to a blow up goal structure, and inflatable football game is that you toss footballs to a blow up football goal. 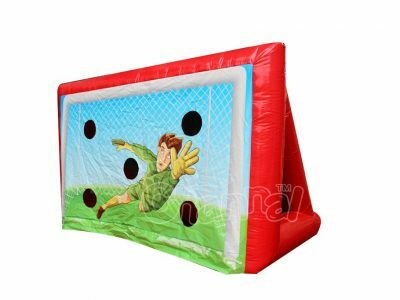 When it comes to soccer and football, things can get confused, but in American English, soccer is about kicking and football is about advancing(could use hands). 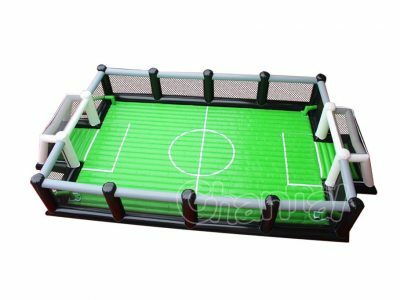 Inflatable soccer and football games have many types, include soccer cage, football goal, football toss game, inflatable soccer field, soap soccer, human foosball court, football darts, etc. 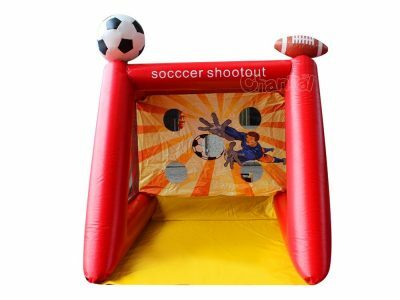 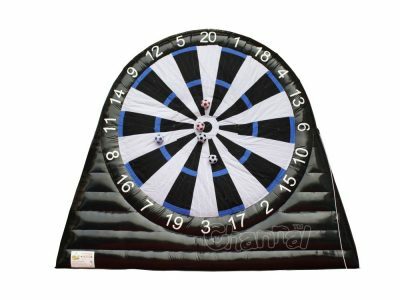 Blow up soccer goals and football targets can be used for carnival booths, birthday parties, company picnics, team building activities and so on. 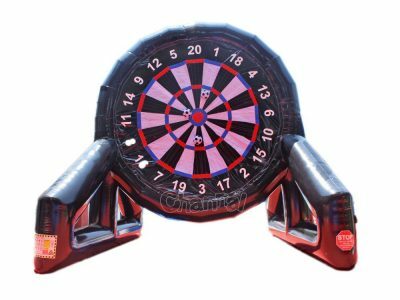 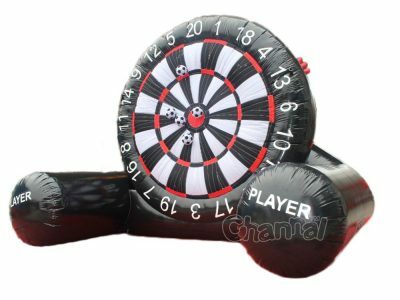 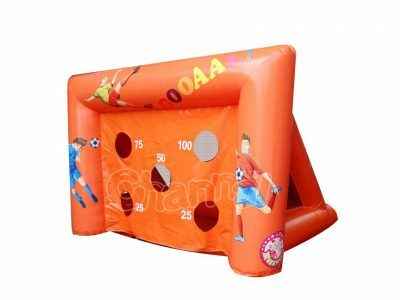 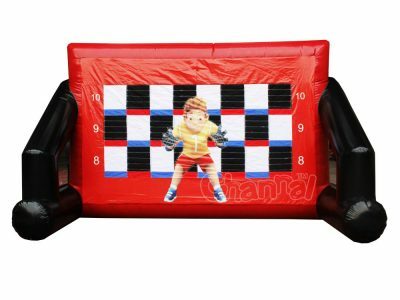 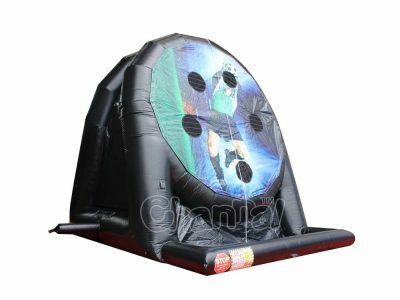 Channal Inflatables is the best inflatable soccer game manufacturer in China. 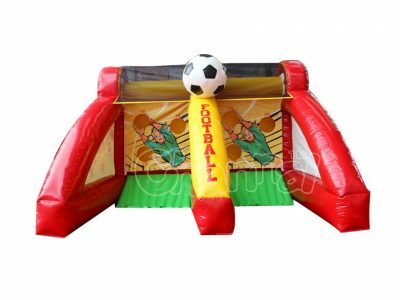 We make sure every kick counts, all fun are shared among football fans.